We are losing WWII, Korean and Vietnam Vets at an alarming number each day. 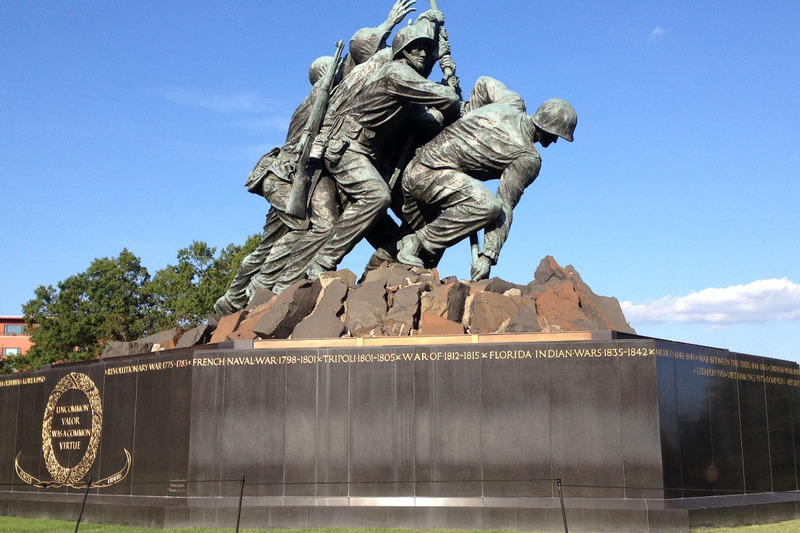 Many of those who fought so valiantly for our freedoms have never had the opportunity to go to Washington, D. C. to see the monuments that were built in their honor. These funds will be used to offset the cost for them to make the journey, with other vets. We are planning a bus ride from Leland, N.C. for three days in early October 018. We can take as many as 50 per bus. Our schedule will include a visit to the White House, Capitol Hill, Arlington Cemetery and the changing of the guard and each of the monuments. We hope to raise enough money to offset all the cost involved. If you have ever wanted repay a vet and couldn't think of how, then this is a perfect opportunity to say thanks to these vets. Our bus is filling up and it's only two months away. Oh behalf of the veterans making this trip, we thank you for your support from the bottom of our hearts. This money will be used to pay for the 3 WWII vets and 2 Korean Vets who have signed up to go. We are still accepting contributions, so keep it coming. The Leland American Legion Post 68 is incorporated as a 501 (c) (3). All contributions are tax deductible. This now a project of the Leland, North Carolina American Legion Post 68. I will remain the contact person on the project. We have picked up several more offline donors as well as several more sign ups of vets to make the trip.